As others are complaining about the hurdles and the extreme harshness of the nightmarish month known as January, others are sailing this arduous month away – and even making moves we can only dream of. 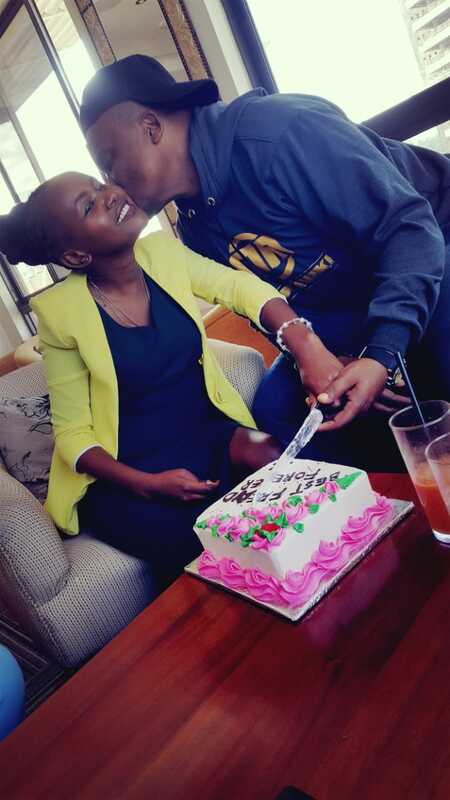 One such fellow is one Murua Muziki, a Kenyan musician and flamboyant business personality who today, decided to do the unthinkable – cement his status as an eternally friend-zoned man. This morning, the fast-rising singer walked into the towering After 40 Hotel along Biashara Street with his best friend in his arms. 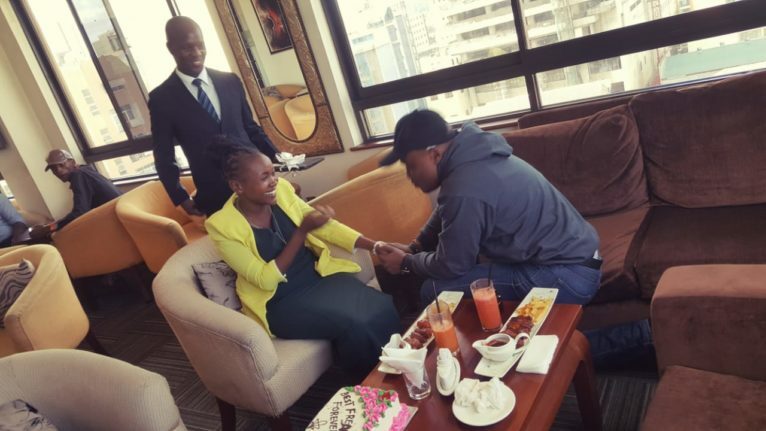 And after chowing away a plate of some of the hotel’s most scrumptious meals, and downing it with some juice, he got down on one knee, pulled out an engagement ring and proposed to his best friend. But not before handing her a gold chain and a brand new laptop that she has been trying to buy. It was not your usual mawkish proposals for marriage – his was unique. Or rather odd. ‘Will you please be my best friend? For life? Till eternity?’ he asked his bewildered best friend. And she said an emphatic ‘YES!’. Basically, Murwa went down on one knee to ask his best friend to be his forever – as a friend. And as he slid the diamond ring down her dainty finger, he reiterated that the beautiful lass was free to marry whoever she wanted. Whenever she wanted. As long as she remained his best friend. Well, this is taking the word ‘friend zone’ to a whole new realm. But Murwa doesn’t seem to mind . After all, he’s monied and loyal. And isn’t that all that matters? Wonders, they said, will never cease.